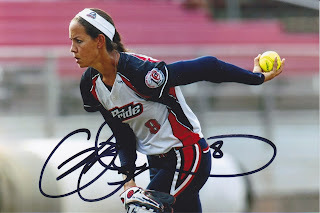 The Daily Dimwit: Trade Updates! I am trying to get caught up a bit around the house here! I got some stuff scanned in, lets dig in! 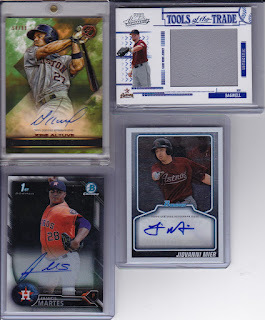 First up is my loot from a trade with Dennis over at Too Many Verlanders. I sent him some Tigers and he went out and found me some Astros! How about those Correa swatches!!!! Dennis also sent along some sweet vintage magazines with Astros and Nolan on the covers! Thanks Dennis! Next I've got a trade with Tyler! 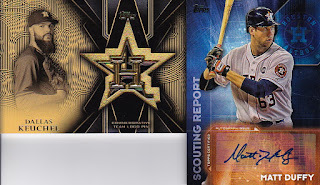 He saw some cards on my trade bait page and sent me along this sweet manu-relic of Dallas and the Matt Duffy auto! Matt spent a lot of time in our minor league system but wasn't ever really able to break into the majors with us! My buddy Brian, a Rangers fan and frequent collaborator on Team USA card collaborations (we need to do another case of Heroes & Legends!) 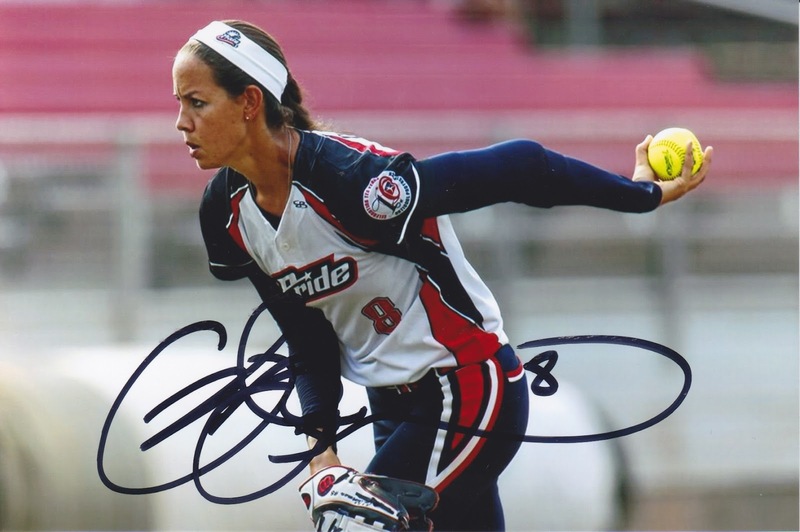 sent me this awesome Cat Osterman autographed picture! Thanks Brian! 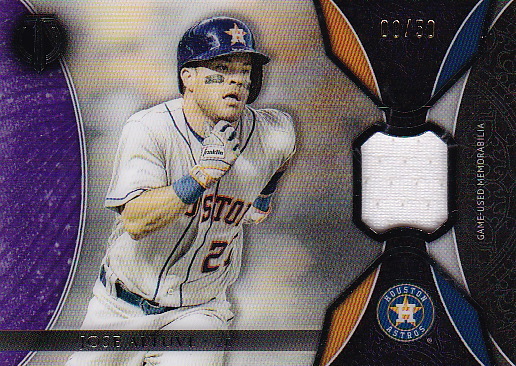 I picked up this Altuve on the cheap from a Facebook group, just to find out that I already had a copy... haha... so it's for trade! Next up, a trade for this BEAUTIFUL Altuve autograph. I love picking these up now, as I have a feeling they are soon going to be priced much higher! This was another Facebook deal and was very happy with adding the Altuve to the books! 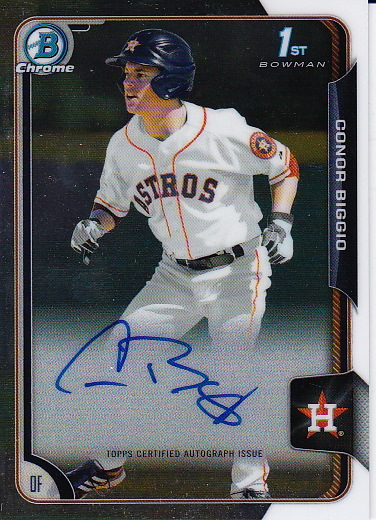 Next, we have a quick trade with Jeffrey, a frequent trade partner, where I was able to pick up this Conner Biggio auto! 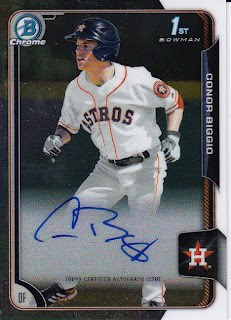 Finally, a trade through Twitter for these SWEEEEEEEEET Bregman autographs! Was very happy to pick these two up! Hope you all have a great weekend! 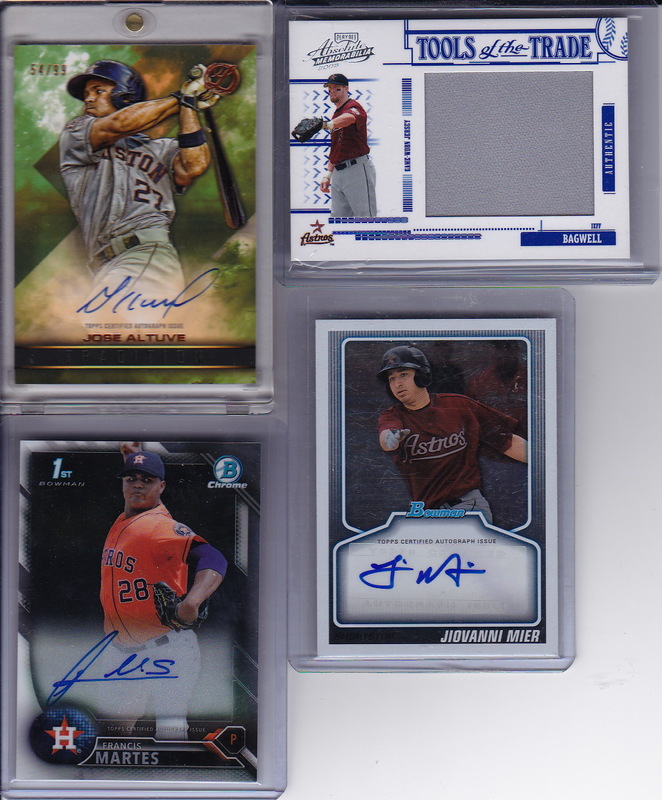 If you want to trade, please let me know, I have plenty of trade bait and definitely looking to make some moves to add Astros to my collection!